The Mediterranean is one of the most sought-after cruising destinations, a must visit for the new traveller and somewhere that draws seasoned cruisers back year after year. With a wealth of culture, some of the world’s best food and sunny shores stretching for miles, the reasons for holidaying around the Mediterranean are seemingly endless. Enjoying hours of blissful sun and stunning scenery, the Mediterranean offers a most delightful cruise passage. The cities are home to some of the most beautiful culture, art and architecture in the world, with museums and shopping galore meaning there is something for everyone. 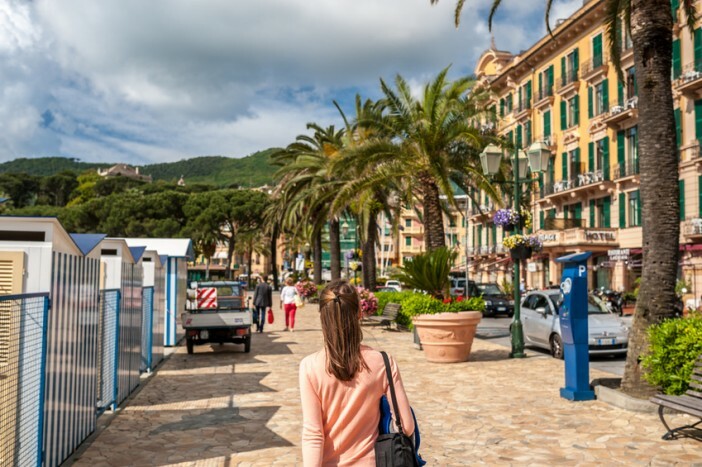 To help you decide what the best things to see are, which galleries and museums you should visit, and where to find the best food, we’ve produced this guide on everything you need to know for a perfect Mediterranean cruise. The cities of the Mediterranean are some of the most famously beautiful in the world, and each one has its own unique personality. They are the bustling hives of activity that showcase the evolving, modern cultures of these beautiful countries, and exploring them on a cruise is one of the best ways to get a flavour of how the old and the new sit together in this vibrant region. We’ve put together city guides on some of the region’s best-loved cruise destinations, so you can be sure that you’re getting the best experience of each exciting centre. The guides provide an insight into what to expect if it’s your first visit, as well as some exciting tips on discovering local delights away from the well-worn tourist attractions. The Catalan capital, Barcelona, is a popular hotspot for visitors, who flock here for its truly stunning architecture and wealth of exciting activities. Barcelona is so beautiful that just wandering around the city is an amazing experience, with Barri Gotic taking pride of place for its breath-taking buildings and medieval alleyways. The city’s proximity to the beach is another amazing feature, meaning that you can escape from the crowded city on a hot day, then be back in time to visit one of the amazing restaurants that showcase the best of Catalan cooking. The city takes its food very seriously, from the colourful stalls of the famous La Boqueria market, where you can find some of the best food in the city, to its stylish restaurants that feature modern twists on the cornerstones of traditional Spanish cuisine. Palermo is a city that retains much of its historic charm and elegance, alongside a more modern wealth of stylish stopping and contemporary cuisine. For those who crave history and culture, buildings from the Norman rule of Palermo remain, with the Palazzo dei Normanni satisfying even the most unquenchable thirst for ancient architecture and civilisations. The vibrant markets of Palermo are the perfect place to drink in the vibrancy of modern life in this thrilling city, they’re always overflowing with colourful fresh produce of the region, and with locals haggling loudly with traders. Palermo is a very authentic city, where the ancient and the modern lives of its citizens sit side by side to make a really beautiful place to visit. Marseille is France’s oldest city, and a popular travel destination due to its history, beauty and fantastic seafood. All immigrants to France once travelled through this ancient port, and there are several places to visit to learn more about how these people were treated in the past. To add to the cultural richness, the port was also the setting for Alexandra Dumas’ famous novel, The Count of Monte Cristo, and visitors can visit the Chateau d’If where the count was imprisoned. When it comes to seafood, Marseille has few rivals in either produce quality or chefs, so be sure to sample some of the beautiful food on offer. Malta’s beautiful capital city is slightly off the beaten track compared to some of the Mediterranean’s other major centres. Unspoilt cultural, historical and edible delights can be found in this gem of a city, which housed the headquarters of the British and Mediterranean allied forces in WWII. Palaces and museums abound, and you can sometimes be lucky enough to be shown around by the current residents of some which are still occupied. The restaurants and bars in Valletta cater to local tastes, allowing you to sample the hearty flavours of Maltese home cooking and the stunning local produce. Athens, the birthplace of modern civilisation, is a popular holiday destination offering a variety of wonderful experiences to the discerning traveller. Whilst the tumbling ruins of the ancient city are breath taking and well worth a visit, there is more to modern Athens than meets the eye. With a rumbling undercurrent of political upheaval and thriving youth culture beneath the shiny veneer of tourist-centered Athens, there is much to discover here beyond the soaring marble pillars. Sample the outstanding food on offer in the city, take an alternative tour of the ancient ruins, and visit somewhere the locals hang out, and you’ll be amazed what you can learn in this exciting city. The smallest country in the world packs a lot of punch when it comes to drawing in tourists from across the globe. Whether you are visiting to experience the powerful spirituality of the home of one of the world’s most famous religious figures, or to marvel at its incomparable architecture and art collections, Vatican City is a special place. Experience the amazing atmosphere of St Peter’s Square, absorb the quiet serenity of the Pope’s private gardens, and tour the Vatican museums, which hold some of the most amazing artwork ever created. Be sure to indulge in some beautiful local food, from pizza to porchetta, Vatican City knows good food. Mediterranean cuisine is world famous, not only for the reported healthiness of the diet, but also for its delicious flavours. With a wealth of fresh fish, fruit and vegetables; cooking in Mediterranean countries often focuses around bring local produce to life. Each country has its own distinct flavours, based on the foods found in abundance in the area. Many of the world’s best chefs also come from the region, making it home to some of the most acclaimed restaurants in the world. We’ve rounded up eight national dishes that you have to try if you want to discover the delicious flavours of the Mediterranean. Venice is often called the honeymoon city because of its romantic waterways, wealth of culture and beautiful restaurants. When it comes to exploring this city with that special someone, whether it be a new love or an old flame, the best time to do so is undoubtedly under the stars. From sunset cruises and moonlit gondola rides to wine-soaked evenings laughing in intimate restaurants, Venice has a lot to offer for those in search of romance. We’ve designed this guide to help you plan the perfect evening exploring all the most romantic things to do in Venice at night. The Mediterranean is home to some of the most famous architecture in the world, and some of the most spectacular buildings are places of worship such as churches and temples. From soaring cathedrals adorned in gold and famous art to crumbling white pillars once dedicated to ancient gods, the region is home to some of the most impressive religious structures on the planet. Showcasing the fluctuations of rulers, culture, style, and even religion, across the Mediterranean, churches and religious sites make for some of the most interesting places to visit on your cruise. We’ve rounded up seven that simply can’t be missed. If all of the above has got you longing after a voyage to the Med, be sure to check out our fantastic range of Mediterranean Cruise Deals.